The US Federal Trade Commission is inviting comments from industry representatives, consumer groups, technology providers and academics ahead of a mobile payments workshop it will host in Washington, DC on 26 April. The US Federal Trade Commission (FTC), the arm of the US government that is charged with consumer protection, is to host a workshop in Washington, DC on April 26 to examine the use of mobile payments and how the emergence of the technology will impact consumers. The event is designed to bring together consumer advocates, industry representatives, government regulators, technologists, and academics with the aim of examining a wide range of issues including the technology and business models used in mobile payments, the consumer protection issues raised, and the experiences of other nations where mobile payments are more common. What different technologies are used to make mobile payments and how are the technologies funded (eg credit card, debit card, phone bill, prepaid card, gift card, etc)? Which technologies are being used currently in the United States, and which are likely to be used in the future? What are the risks of financial losses related to mobile payments as compared to other forms of payment? What recourse do consumers have if they receive fraudulent, unauthorized, and inaccurate charges? Do consumers understand these risks? Do consumers receive disclosures about these risks and any legal protections they might have? When a consumer uses a mobile payment service, what information is collected, by whom, and for what purpose? Are these data collection practices disclosed to consumers? Is the data protected? How have mobile payment technologies been implemented in other countries, and with what success? What, if any, consumer protection issues have they faced, and how have they dealt with them? What steps should government and industry members take to protect consumers who use mobile payment services? To aid in preparation for the workshop, FTC staff are inviting comments from the public, including original research, surveys and academic papers. 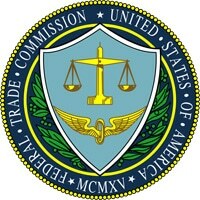 Anyone interested in providing input to the FTC’s planning can submit a comment on the regulator’s website.